This 1,000-watt 4-cup percolator is the top of its class. 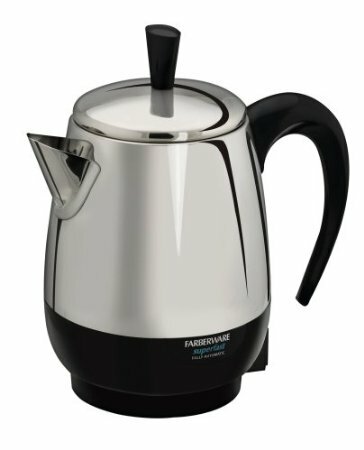 It keeps a consistent brewing speed of 1 cup per minute to match the durability of its stainless steel construction. With its detachable power cord, you can enjoy great handling wherever you want.